We are sorry to announce that Linda Williams sadly passed away last month. 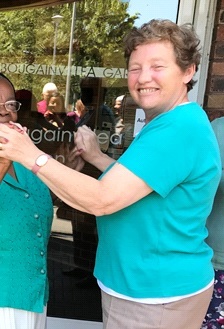 Linda was a treasured member of our Tenant Quality Panel and a resident at one of our schemes, Bougainvillea Gardens. She will be sorely missed by all. Our thoughts are with her friends and family at this time. Love from everyone at Arawak Walton.